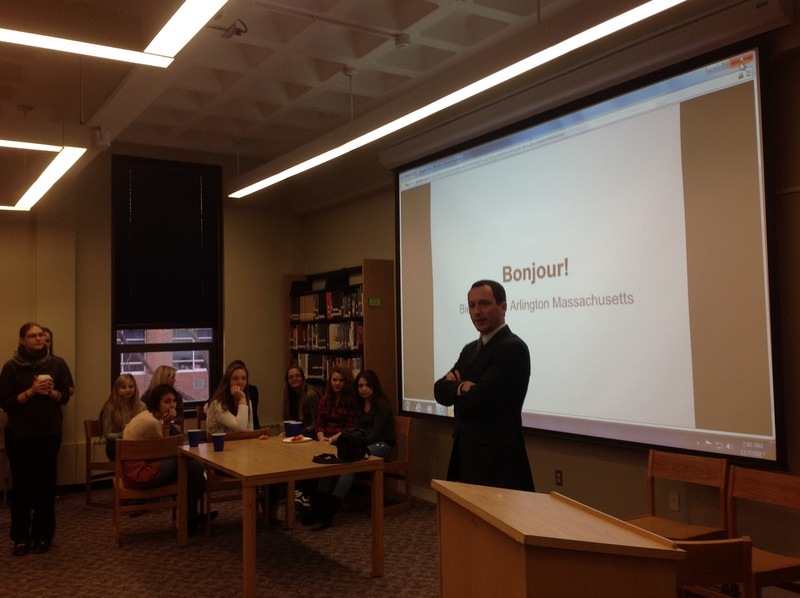 Arlington World Languages: Bienvenue aux français et au Consul Général de Boston! Bienvenue aux français et au Consul Général de Boston! 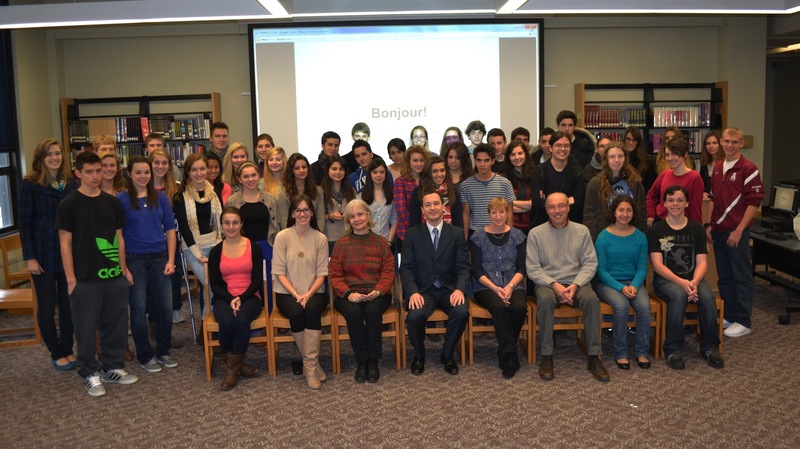 A group of 23 French students and two teachers arrived from France on November 6th for a two-week stay here in Arlington as part of our bi-annual France Exchange program. 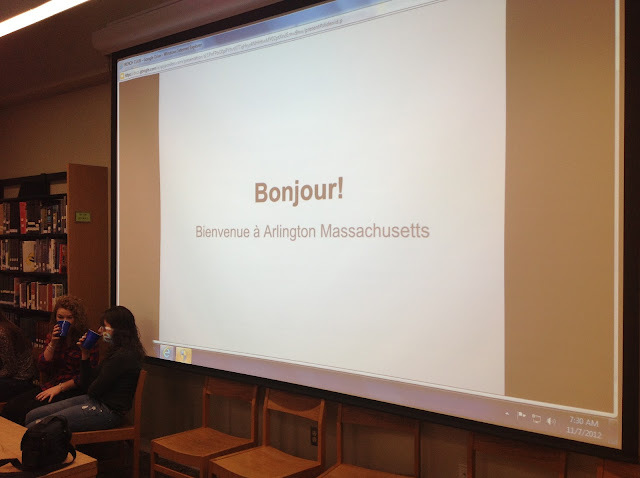 The students were welcomed at Arlington High School by parents, teachers, administrators, and even the head of the French Consulate of Boston. Mr. Fabien Fieschi stopped by for our welcome breakfast and spoke to students about French in the region and his role as Consul General. 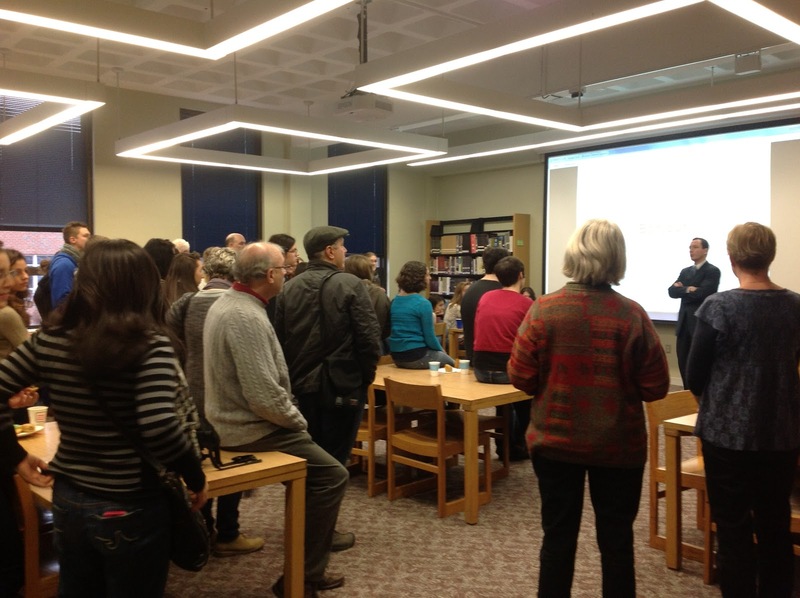 The students then spent the day at AHS, getting their first taste of life in the United States. AHS students will be traveling to France during April vacation, and will stay with the students they are currently hosting. Thank you to all the parents who helped bring in food for this lovely welcome breakfast! French exchange students and their hosts, along with teachers and the Consul General, Febien Fieschi (center).